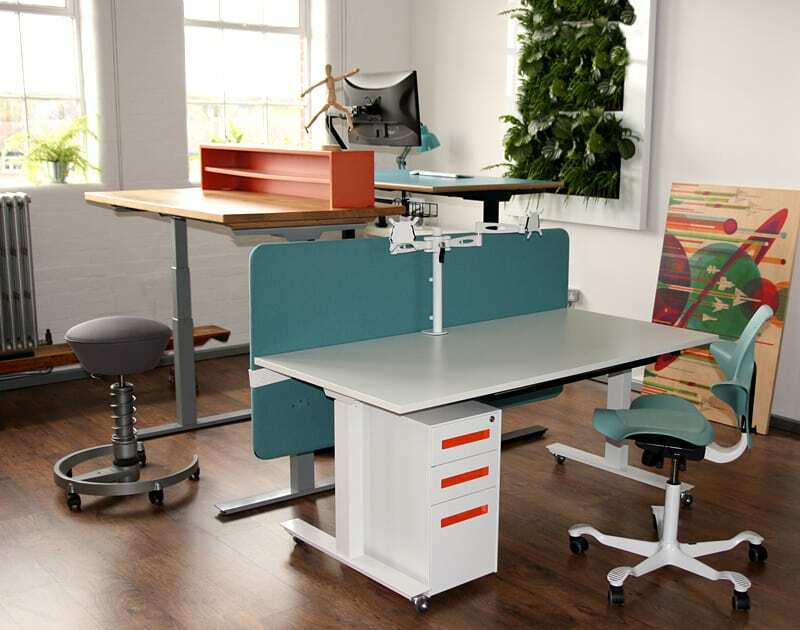 Visit our showroom, we’ve got lots of desktop combinations including solid wood, laminate, birch plywood, bamboo and active seating options for you to try as well as office accessories and decorative solutions to inspire. Our studio/showroom is on the 2nd floor of Capitol House, at the corner of Heigham Street and Barn Road. There are free parking bays on Heigham Street as well as free parking for shoppers at Tkmaxx diagonally opposite Capitol House. Please give us a call on 01603 951595 to arrange a time, as we’re often out on deliveries. Our normal working hours are 10am-5pm Monday to Friday but we’re very flexible and will accommodate visits where possible in the evening and at weekends. If you would like to pay us a visit from further afield there are direct train services that run hourly to Norwich from London, Cambridge and Peterborough as well as regular services from Birmingham, Manchester, Liverpool and Leeds. Let us know when your train is due to arrive and we’ll pick you up from the station and deliver you back there again in time for your return journey. You may like to check out the independent shops, restaurants and cafes in The Lanes while you’re passing through or if you have longer the Cathederal or Norwich Castle. Free UK mainland delivery on all orders. Larger items within 50 miles of Norwich also include a free installation service.